What if your desire to see the world is bigger than the sum you have in your bank account? If you are limited by a small budget when you travel, that doesn’t have to stop you from having a good time. There are many ways that you can enjoy yourself while traveling without having to spend a fortune – in fact, I think traveling cheap is better. Eating out in restaurants for three meals a day can really start to add up, so you will save yourself a lot of money by staying in a hostel with a kitchen that guests can use. 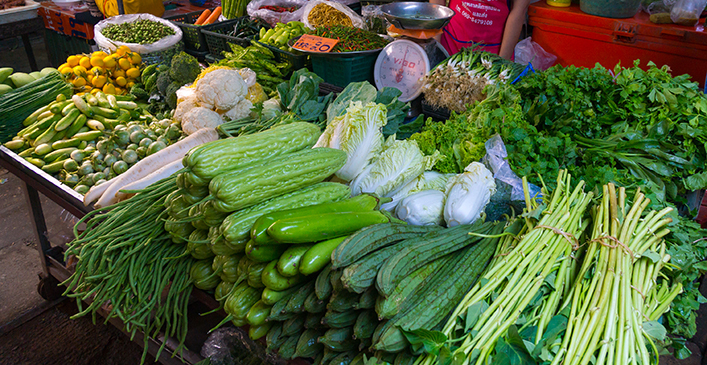 Go to the local market and stock upon cheap food like rice, potatoes, vegetables and meat and cook up a feast! Usually hostel kitchens will have a “free food” shelf with things that other travelers have left behind, so look there for interesting spices, sauces and other things you can add to your meal. When you eat most of your meals in the hostel and only eat out in restaurants some of the time, you will reduce the cost of your food budget while traveling considerably.